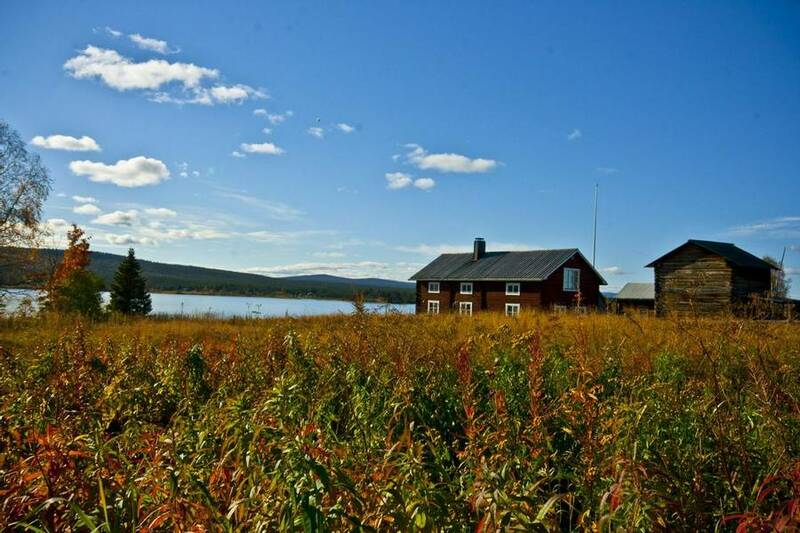 Autumn in Lapland is one of my favourite times of the year. With longer daylight hours and warmer temperatures, the options are boundless. Where else can you go white water rafting by day, watch the Northern Lights by night and then retire to a stunningly crafted bedroom suite constructed using only ice and snow? 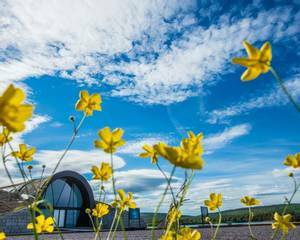 This holiday allows you to visit the world-famous ICEHOTEL® and enjoy the wonders of the Arctic in the summer and autumn months. 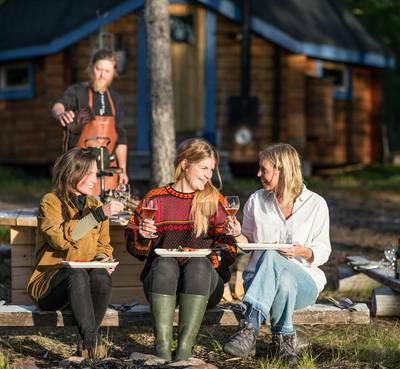 What’s more, you can design your own activity agenda using Lapland’s expansive and dramatic wilderness as your playground. It is fair to say that not everybody enjoys the winter. Often it has been the reason folk who would love to witness the ICEHOTEL® fail to visit such a remarkable monument of snow and ice architecture. 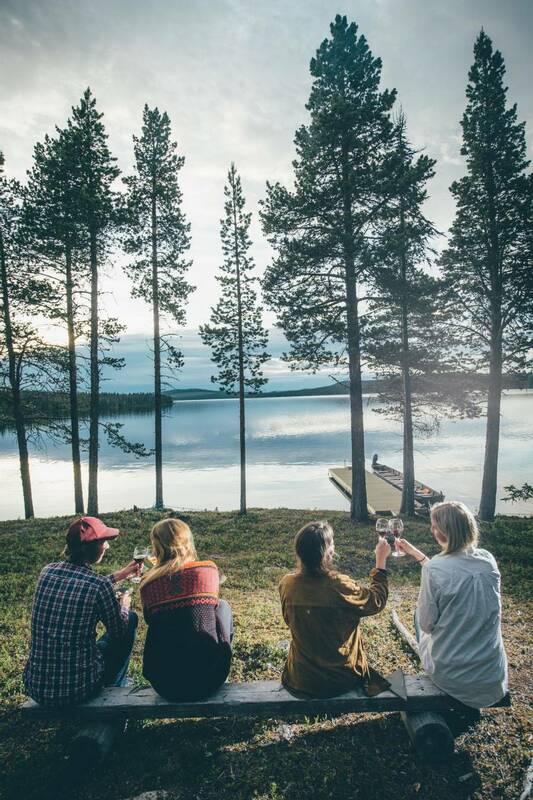 Fortunately, that’s all changed with our summer and autumn tailor-made breaks. 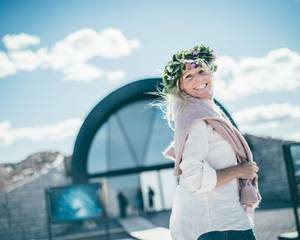 Now, you can make the absolute most of stunning Lapland and marvel at the permanent features of the ICEHOTEL® 365 without visiting in the depths of winter. You’ll spend your first night in a cold room but don’t worry, with an Arctic grade sleeping bag and reindeer hides to sleep on, you’ll stay cosy as you admire the impressive ice and snow structures around you. Your next two nights are in a warm hotel room, so you can still experience all the features of the ICEHOTEL® whilst staying in the luxury of a ‘Kaamos’ room. If you prefer, you can upgrade so all of your nights are spent in a warm room though we thoroughly recommend sleeping in an ice room – the experience really is unmissable! There are, in fact, many hotels in Northern Scandinavia which are made from snow and ice but only one can call itself “The Original”. You’ll find the pioneering ICEHOTEL® in Swedish Lapland’s Jukkasjarvi, a small village surrounded by wilderness 200km north of the Arctic Circle. 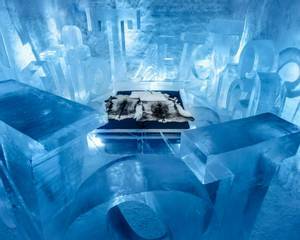 The ICEHOTEL® has traditionally been constructed using frozen ice collected from the Torne River. This, of course, requires the onset of winter and so in the past, the doors have generally opened from mid-December onwards. Come the spring thaw, the ICEHOTEL® melted away for another year. However, using the wonders of modern science and the remarkable energy provided by the sun, there is now a permanent ICEHOTEL® 365. 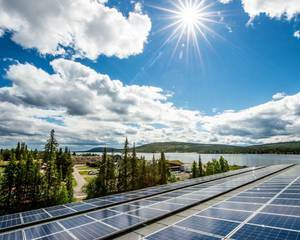 It is kept cold by solar panels, which makes a lot of sense when the arrival of the Midnight Sun means the blazing orange ball doesn’t set for over two months between late-May and mid-July. This ingenious use of technology allows you to marvel at the lovingly-crafted ice suites, enjoy a drink in the ice bar and admire the stunning ice gallery at any time of year. However, this holiday is about more than the ICEHOTEL®. 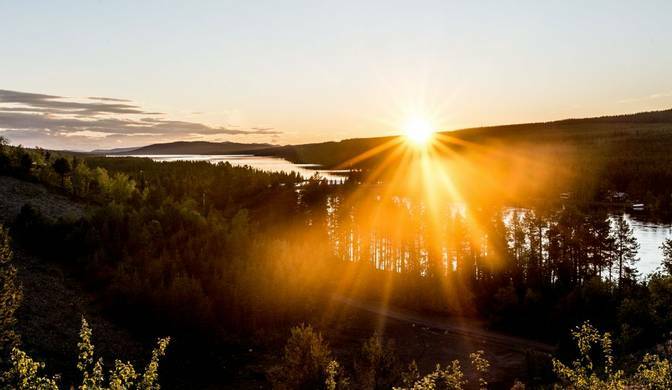 The summer spectacle, the Midnight Sun, means 24 hours of daylight to give you more than enough time to explore the rugged Lappish landscapes. 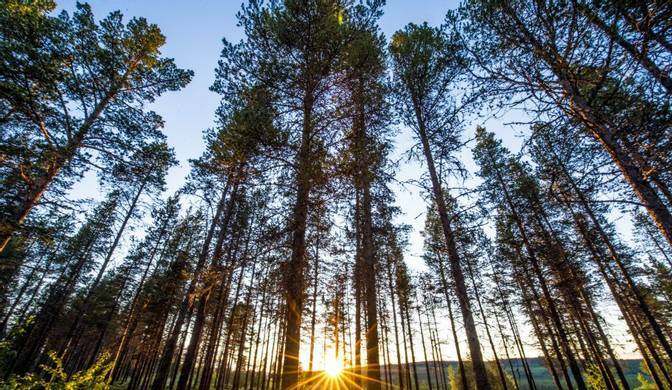 From white water rafting to hiking, mountain biking to canoeing, there are always plenty of daylight hours to enjoy incredible experiences. 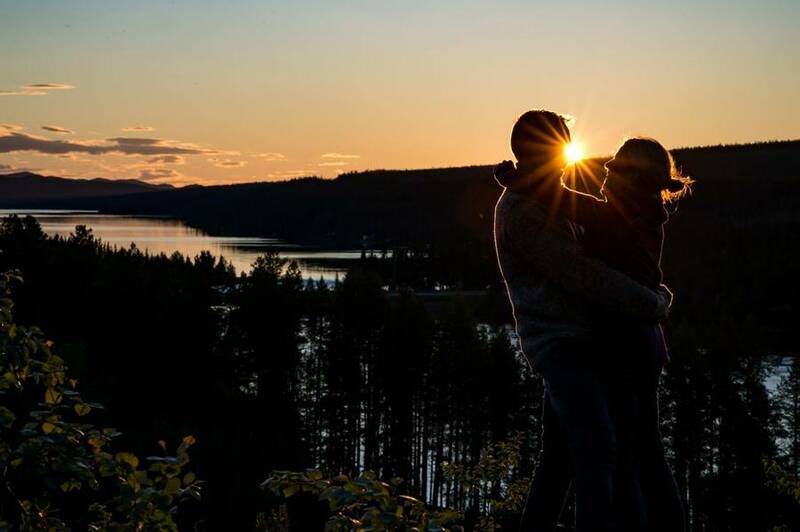 In September and early-October the Midnight Sun might have disappeared but there is a lot to fill its place. The countryside becomes bathed in Autumnal colours and perhaps most exciting of all, the Aurora Borealis returns to the darkened night skies. 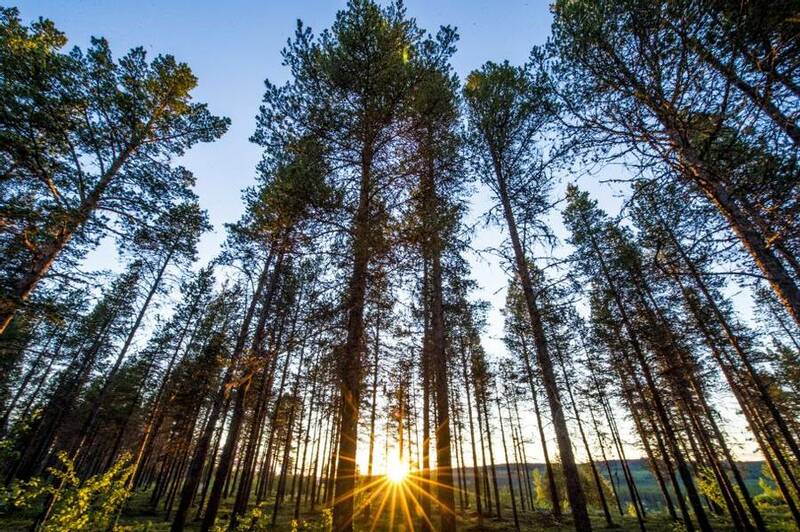 It is a time for hiking, berry picking, rafting and gazing at night skies ablaze with swirling celestial light. 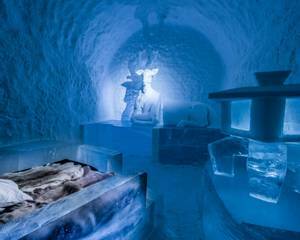 The ICEHOTEL® in Jukkasjarvi is the original snow and ice (“snice”) hotel and is undoubtedly one of Northern Scandinavia’s most fascinating sites. Until recently it has always been necessary to brave the sub-zero temperatures of winter if you want to visit or stay. Happily, for anybody who doesn’t like the cold, there is now a permanent ICEHOTEL® 365 which is open every day of the year. 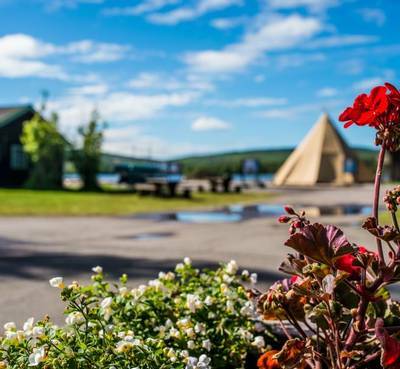 What’s more, you don’t even have to sleep in a cold room as you can upgrade to one of the lovely, warm rooms, chalets and suites on site for the duration of your stay. 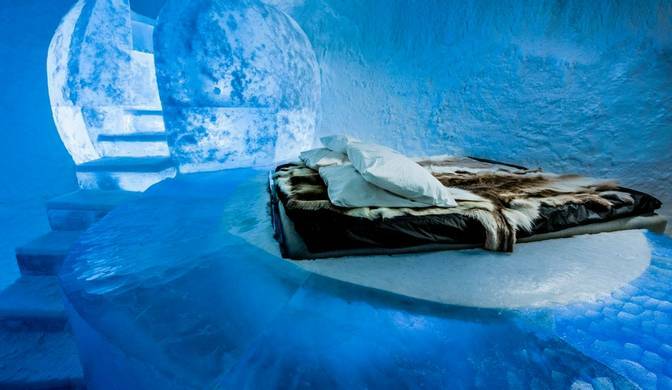 It is important to remember that the ICEHOTEL® also has a “normal” warm side to it. 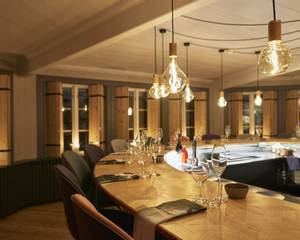 Inside the main warm building you’ll find a relaxing lounge area, a bar, dressing room, restaurant and the gift shop which sells ICEHOTEL® themed gifts and locally sourced handicrafts. 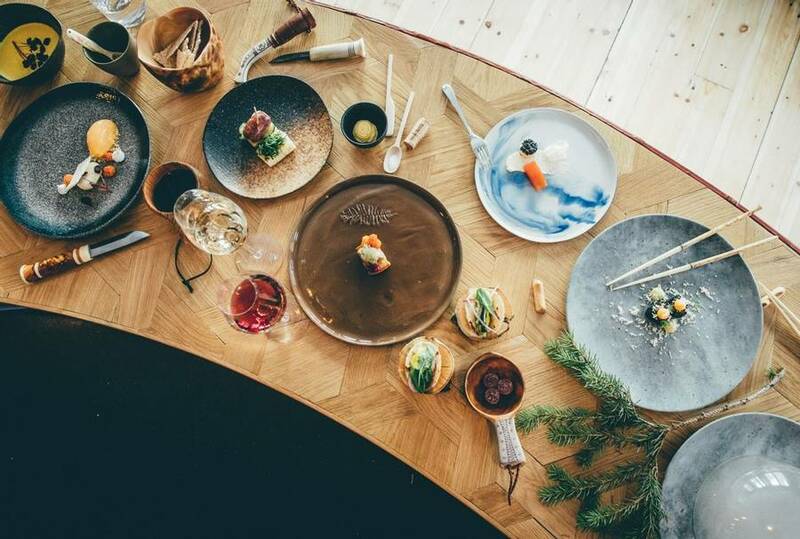 Meals are served in the warm restaurant. The breakfast buffet provides plenty of hot and cold choice to fortify you for the day ahead. Please note that dinner reservations must be made in advance and can be done through us. 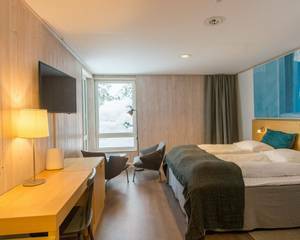 If you are spending the night in one of the suites then you’ll change in the facilities provided at the Riverside Lobby next to the main building before walking over to ICEHOTEL® 365 (approx. 60 to 80 metres). 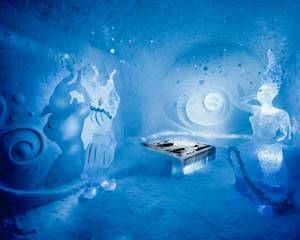 Accommodation at ICEHOTEL® 365 consists of 9 Deluxe Suites and 11 Art Suites. 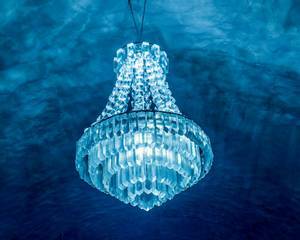 Ice artists from all over the world come to Jukkasjarvi to create these rooms and no two suites are the same. The expertise and skill is remarkable and each artisan carves his or her own unique vision into each room. Temperatures inside the suites sit constantly between -5°C and -8°C and, we know that sounds cold but, without any wind chill factor, it’s really very tolerable. This is especially the case when you are lying on your comfortable bed, insulated from the cold by a reindeer skins and a thermal sleeping bag. There are also lockers where you can leave your valuables overnight as well as toilets, showers and, rather temptingly, a sauna. The warm building also has a small number of bunk beds in case you decide your ice room is not for you. All deluxe suites are individually themed and come equipped with a heated relaxation area. All warm hotel rooms are spacious and tastefully decorated with natural materials. 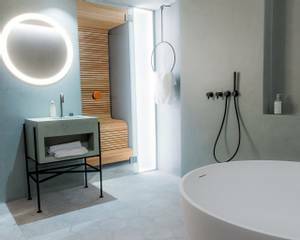 Each room has two beds, a desk, seating area with two armchairs and a coffee table and the en-suite bathroom comes equipped with heated floors. You can also upgrade a superior room for more space. Photography by Asaf Kliger, Vanessa Romano And ICEHOTEL. Suites featured: ‘Oh Deer’, designed by Ulrika Tallving & Carl Wellander. ‘Dancers in the Dark’, designed by Tjåsa Gusfors & Patrick Dallard. ‘You Are My Type’, designed by John Bark & Charli Kasselback. Traditional dog sledding is usually reserved for winter; however, you can still have an authentic experience during this excursion to a sled-dog kennel. 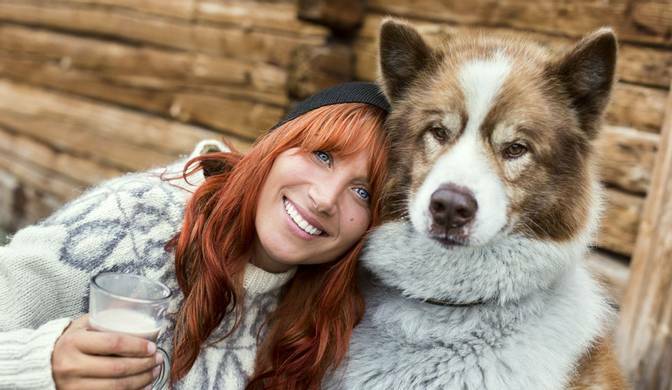 During your visit, you’ll play with the puppies and meet the grown-up sled dogs who are enjoying the Midnight Sun. As well as this, you’ll experience the thrill of being pulled along by the working sled-dogs as you sit in a specially designed summer cart. Have you ever fancied honing your photography skills? 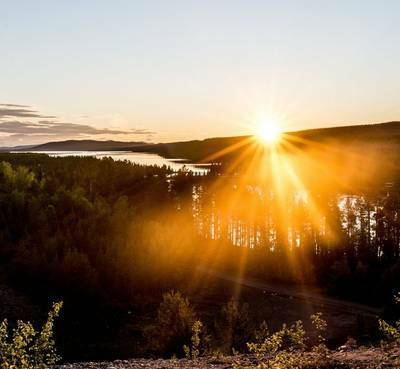 There can be few better places to practice than Swedish Lapland, where a compelling mix of mountains, lakes, forests and rivers provide the habitat for animals such as moose, reindeer and other Arctic wildlife. You’ll be driven out into the wilderness where your guide will provide you with a camera and discuss wildlife and nature photography. The guide will help you to frame and capture the spectacular landscapes that surround and hopefully, you’ll also be able to photograph some of the local wildlife if they make an appearance. 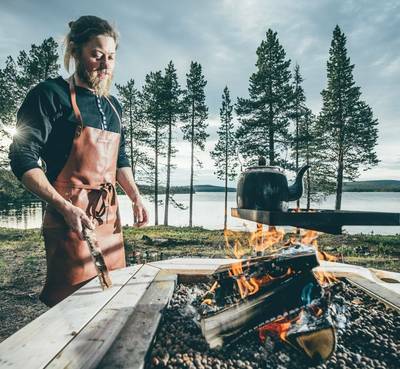 Food always tastes better when it is cooked outside and never more so than in the wide open spaces north of the Arctic Circle. 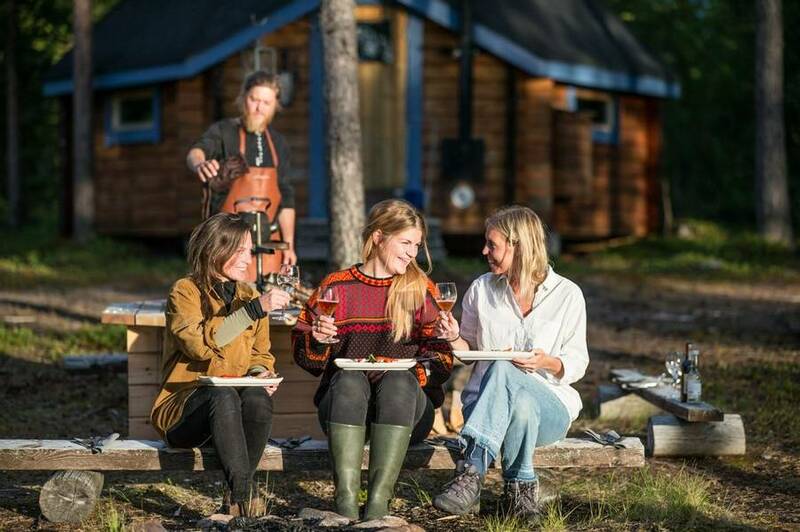 You’ll either be transferred to a wilderness camp by minibus or boat and once there, your guide will prepare a three-course dinner that reflects the local environment and season. 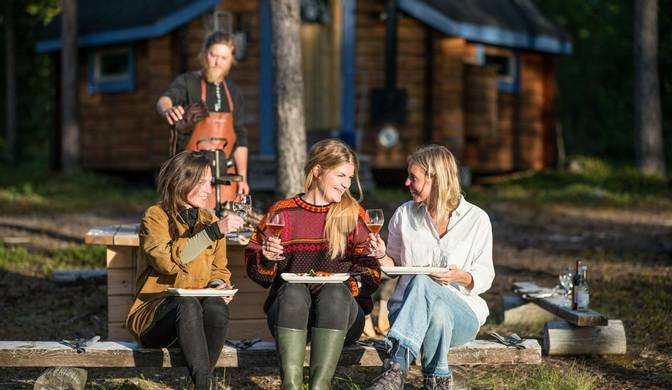 This is a fabulous experience and offers the chance to dine under the Midnight Sun in summer and the Northern Lights in autumn. While the ICEHOTEL® provides all the modern-day amenities, it is surrounded by a vast and largely untamed wilderness. 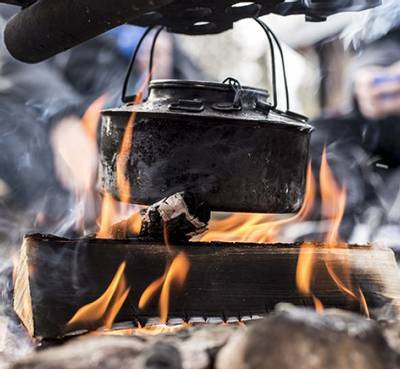 You certainly wouldn’t want to get lost out there without knowing some basic survival skills and that is what this activity is all about. 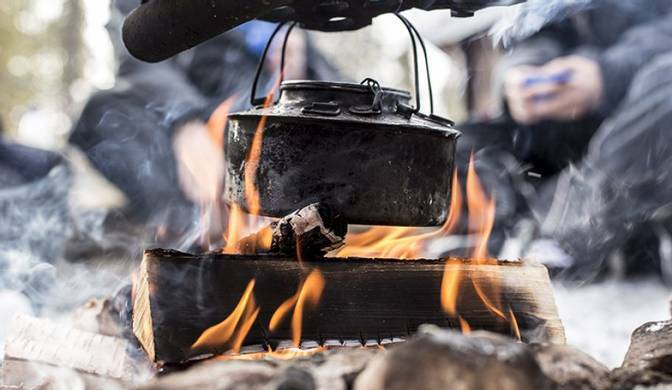 In the company of a wilderness expert, you’ll head into the forest where you’ll learn some of the basic skills required to survive. 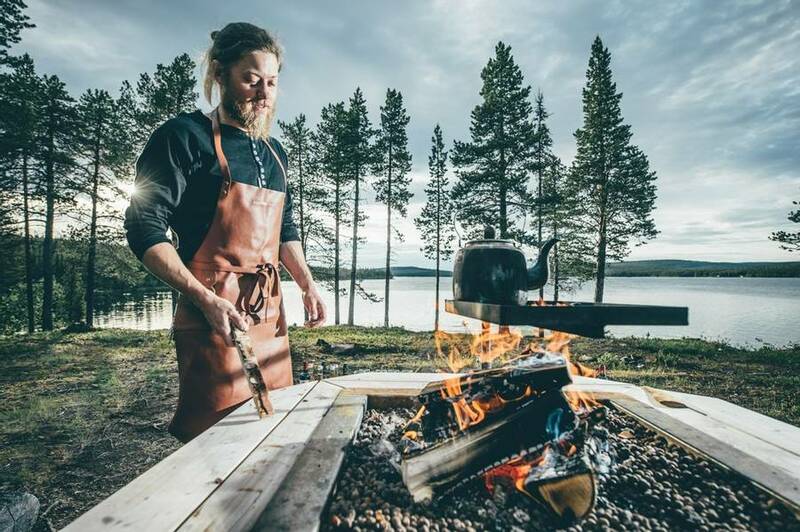 These will include navigating using nature’s signs, information about what you can eat to sustain yourself, how to find shelter and most importantly, how to build a fire. 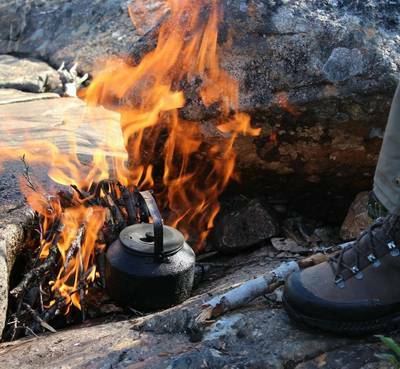 This will include using a flint to demonstrate your own inner Ray Mears or Bear Grylls fire-making skills. 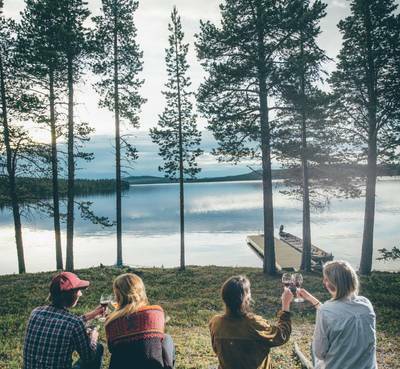 The sauna has been part of daily life in Northern Scandinavia for centuries so not surprisingly, there is quite a bit more to it than simply sitting in a hot room for 20 minutes. 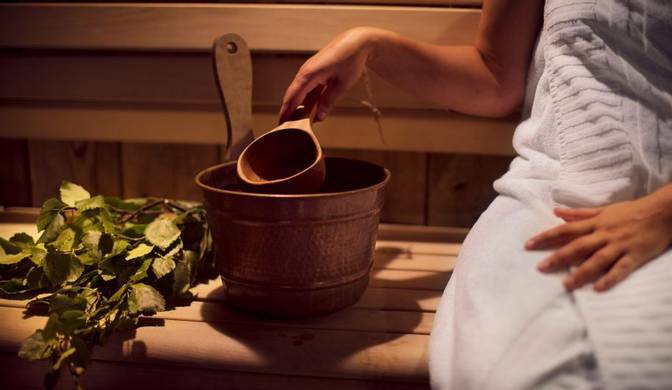 This sauna experience follows ten steps. 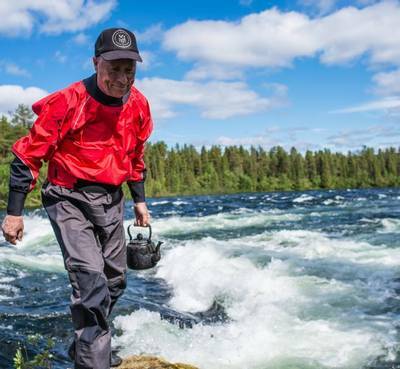 Some of those steps will, at first, sound completely crazy – washing with tar soap, plunging into the chilly water of the Torne River, for example – but believe us, afterwards you will emerge refreshed, invigorated and with a genuine feeling of wellbeing. How does the saying go...“when in Rome”? 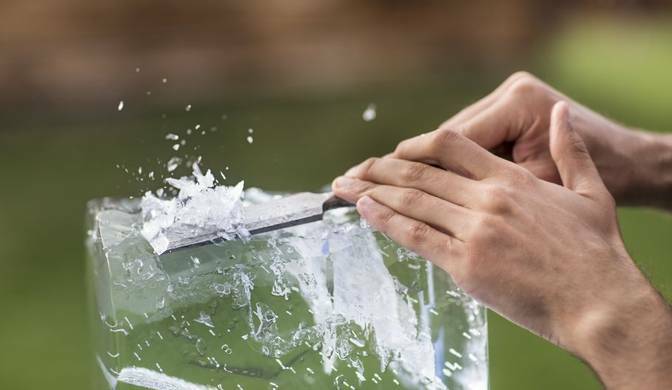 Well, when at the ICEHOTEL® it only seems right to try your hand at a bit of ice sculpting, if only to fully appreciate what a remarkable art form it is. Your instructor will tell you how the ice is harvested from the River Torne and will demonstrate how to use the carving tools. Then, it’s over to you! You’ll be provided with a block of ice and allowed to let your artistry flow (possibly an inappropriate word given the frozen subject matter but never mind!). Sadly, no matter how good (or bad) your finished work, you can’t take it home in your luggage. 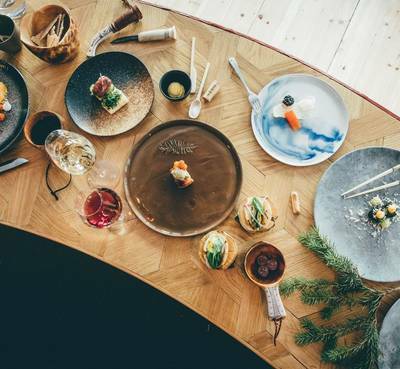 For centuries, if the indigenous Sámi people were not eating reindeer, there’s a good chance that fish would be on the menu. 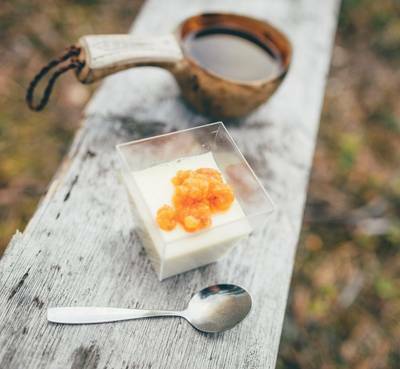 Fish has always been a mainstay in the Arctic and they couldn’t come from fresher waters. 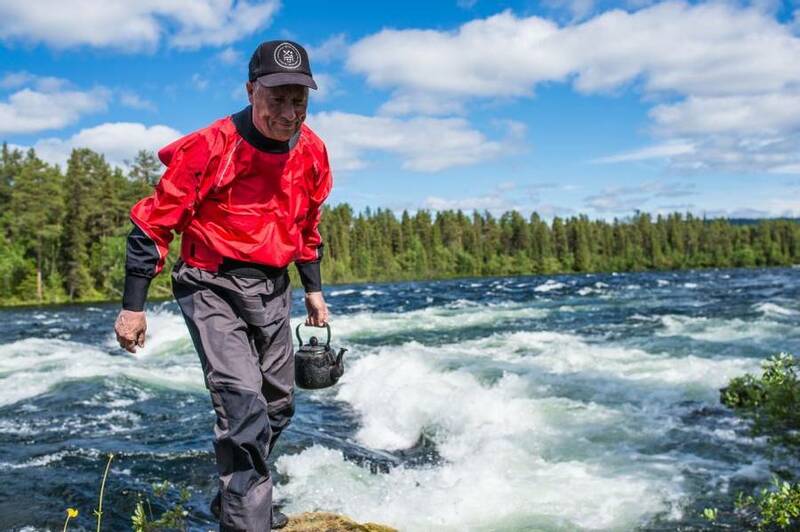 Your guide will take you to one of the best fishing spots on the Torne River. 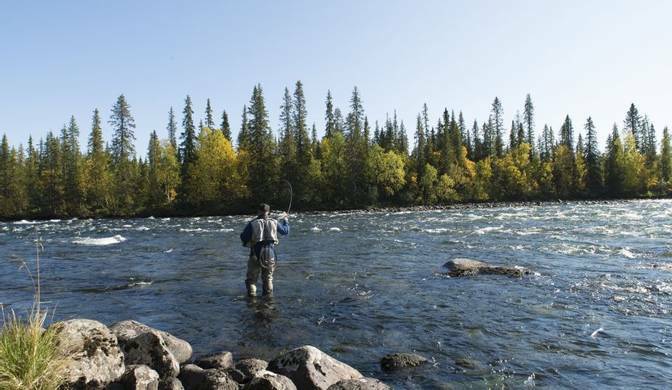 For the uninitiated, there will be some instruction and practice casting before you get into the small boat and try a few different spots, fishing for delicious grayling and trout. A short transfer brings you to the starting point for your hike from where it’s a 90-minute ascent of the mountain Aptas. 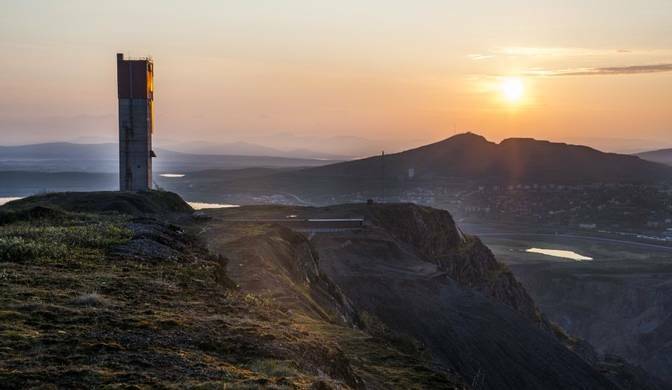 Standing at 615 metres, it’s no surprise this route provides one of the best vantage points in the region. 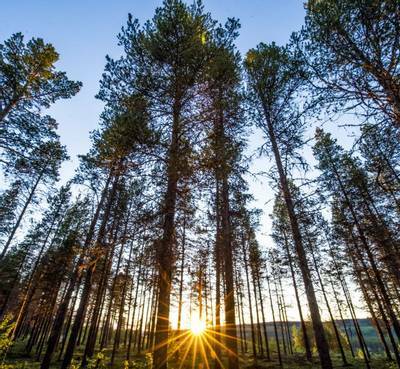 As you walk uphill, your guide will tell you about the environment as you pass through primaeval forest, sub-alpine forest and, once you are above the tree line, alpine tundra. 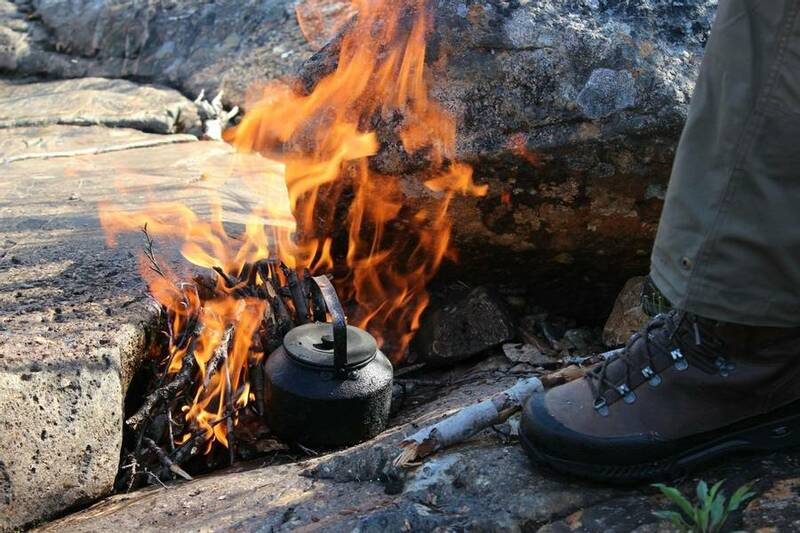 At the summit, your guide will get a fire going and serve hot drinks and a snack. 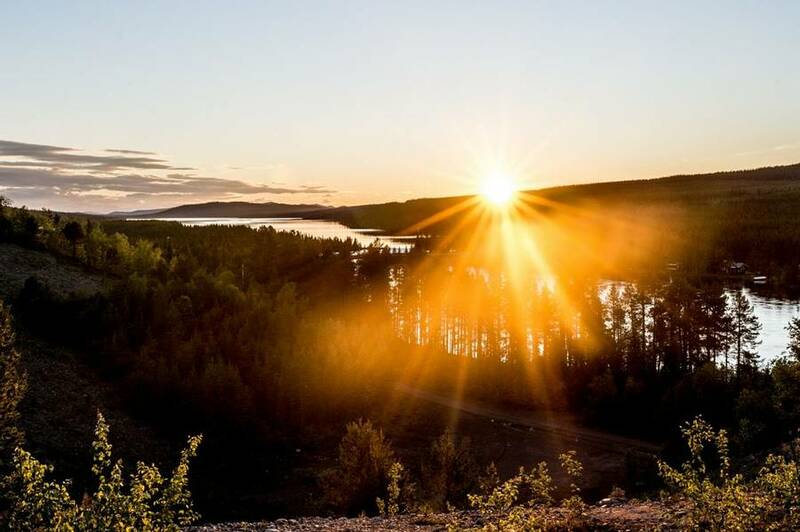 Enjoy the staggering views of Kiruna and its huge mine while your guide tells you about the history of this remarkable mining town. Your descent back to the parking lot should take about an hour. 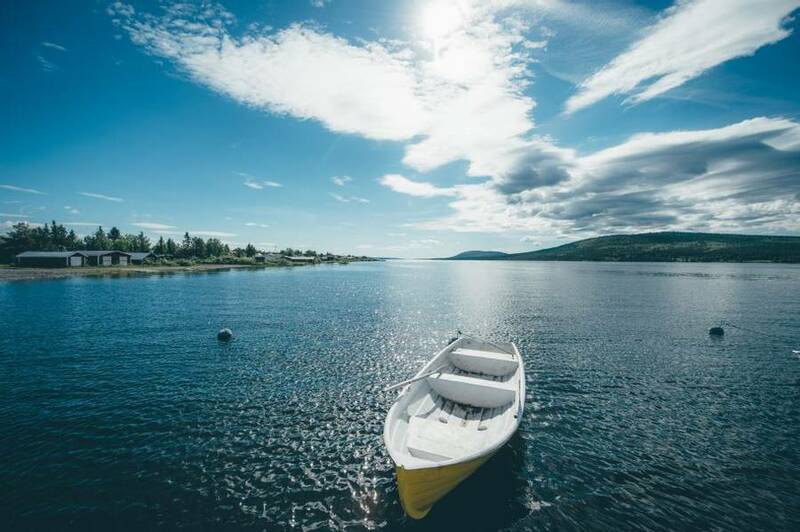 The frozen Torne River provides the ice for the ICEHOTEL® but in the summer months it runs free and the water serves a very different purpose. 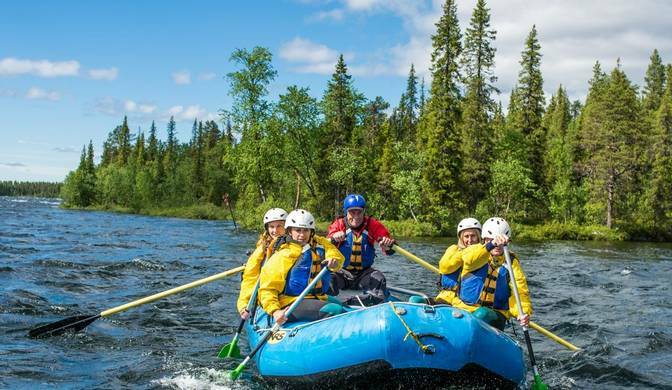 It is said that river rafting originated in Jukkasjarvi and regardless of whether that is true or not, it is a fabulous stretch of water on which to experience it. 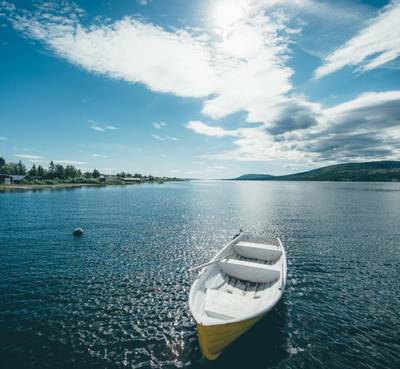 Move between the thrill of fast flowing rapids to the gentle, Lappish tranquillity of the calmer sections, all while being surrounded by stunning forests. 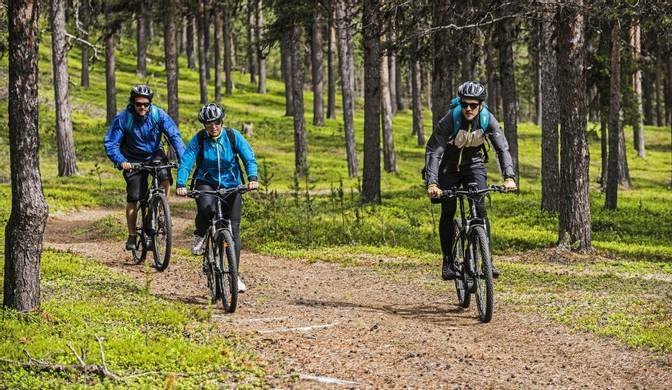 You’ll be provided with all the necessary equipment and your guide will provide full safety instruction before you head down the river on a 40km descent. You’ll even stop on an island where lunch will be cooked over an open fire before you continue into the afternoon. Eventually, tired but immensely satisfied you’ll reach journey’s end where the transfer vehicle will be waiting to take you back to Jukkasjarvi. Most people fall asleep very quickly indeed! 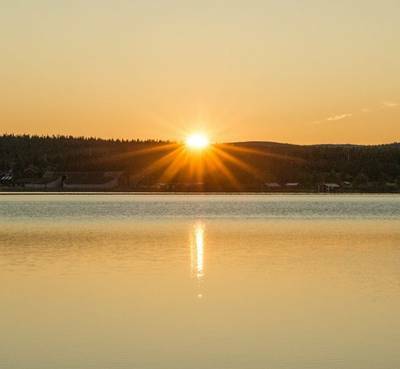 There’s something quite uncanny about 24 hours of daylight and this is particularly special at midnight when you’ll see the sun still hanging there above the horizon. 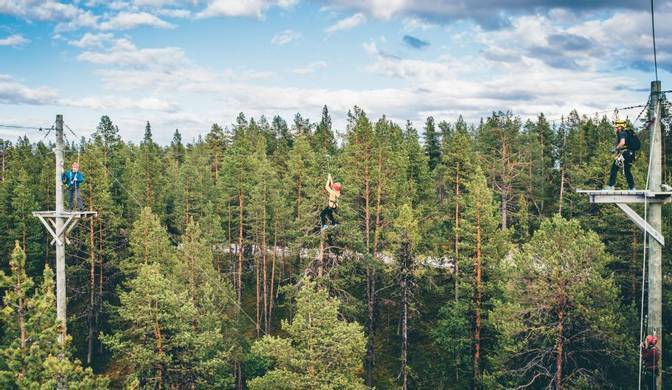 There’s no shortage of trees in this part of the Arctic and this high ropes course makes good use of the “Lappish Jungle” to provide a series of physical, and often, mental challenges. Your guide will provide a full safety briefing including how to safely harness yourself before you begin. This high ropes course presents a series of challenges at different altitudes (the maximum is 16m but you only have to climb as high as you want to) and will keep you entertained for hours. 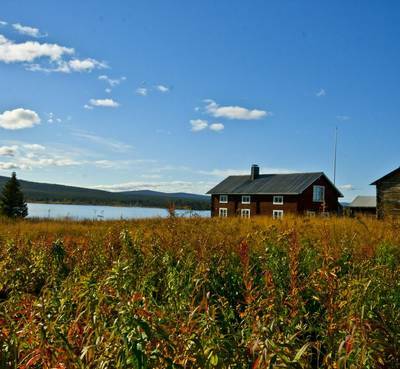 The Sámi people have lived here in the Arctic for centuries and it takes a hardy breed to exist in what can be an extremely challenging environment. 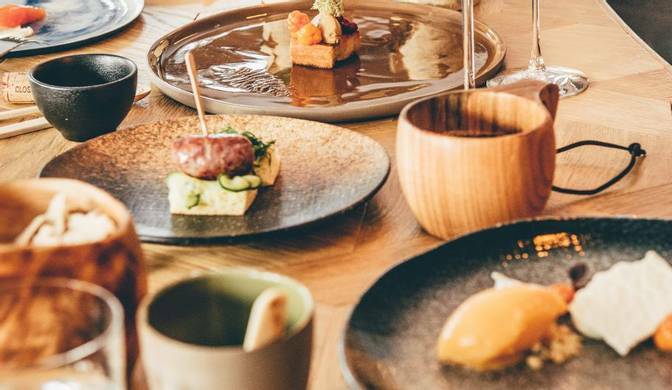 It is absolutely fascinating to learn about their traditions and lives here in the north and even better to do so when there’s food involved. 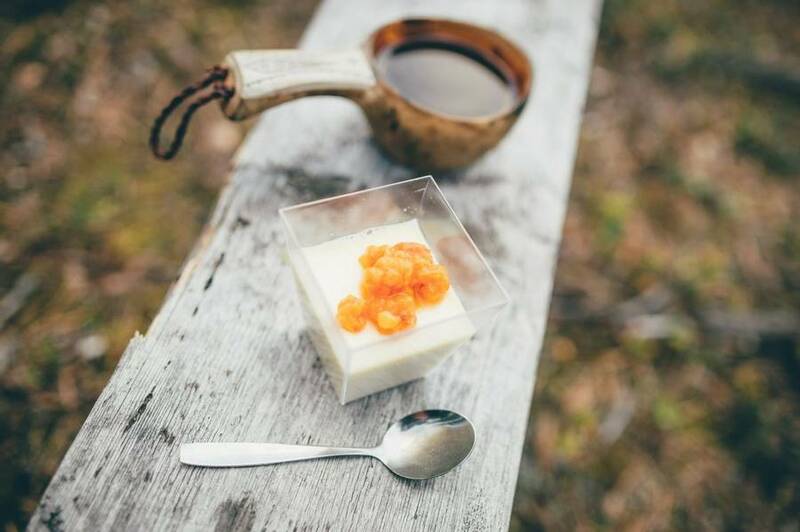 You’ll join your Sámi guide in foraging and gathering berries and plants which will be used later to prepare your dinner back at the restaurant. If you are going to tick the ICEHOTEL® off your bucket list then you may as well go the full Monty and see if you can do the same with the Aurora Borealis while you are here. 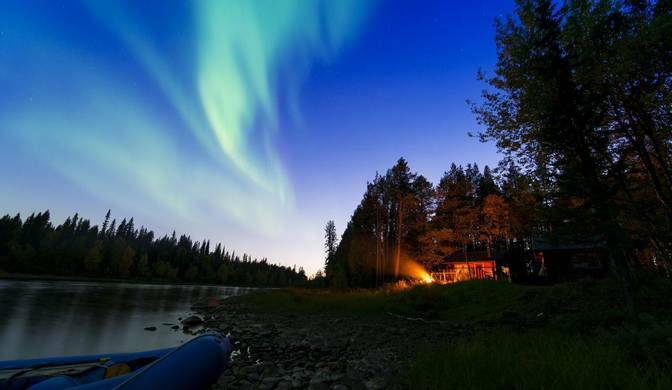 Along with your Northern Lights expert guide, you’ll head out in a minivan searching for clear skies and the best vantage points for admiring Mother Nature’s greatest wonder. 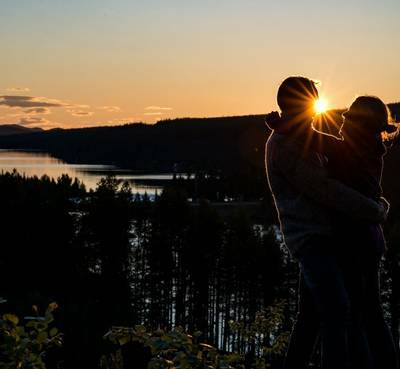 Of course, seeing the lights can never be guaranteed, however, this part of the world is in the very heart of Northern Scandinavia’s Aurora Zone. So, with a bit of luck, you’ll get to see the sky alive with swirling green light. The introduction of ICEHOTEL® 365 means, as the name suggests, that there is now a permanent structure in place and you can visit on any day of the year. This guided tour is a fascinating insight into how the hotel was originally conceived and how it is created. You’ll see the lovingly carved ice suites, the amazingly cool ice bar and the superb ice gallery which is a testament to the remarkable skill of the artisans who gather here every year. Tours are conducted in English and Swedish. While at the ICEHOTEL® it is possible to hire equipment and explore the wilderness off your own back. 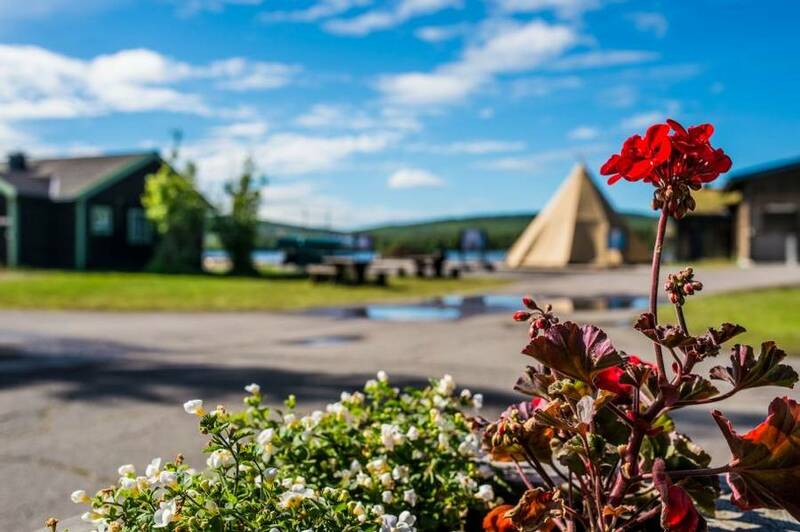 Canoes, stand up paddle boards, fishing tackle and cross-country bikes can all be rented on site.